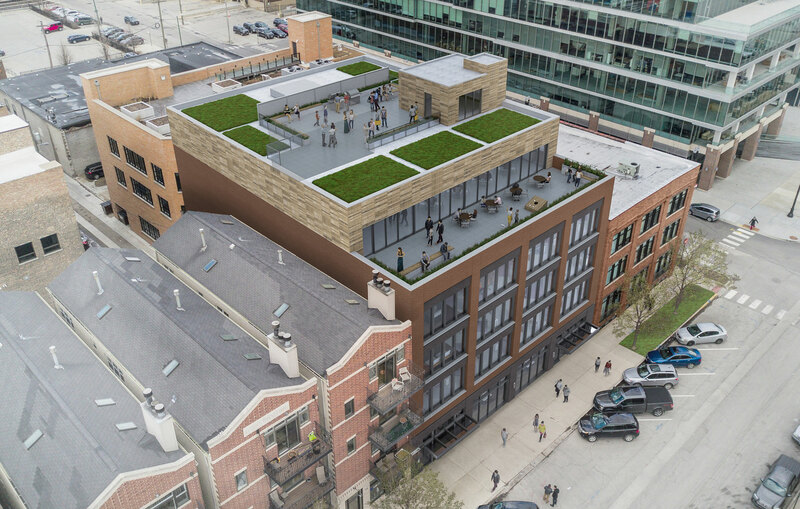 1040 West Fulton is a new mixed-use commercial building with ground-level retail, three floors of office space and a setback roof terrace. 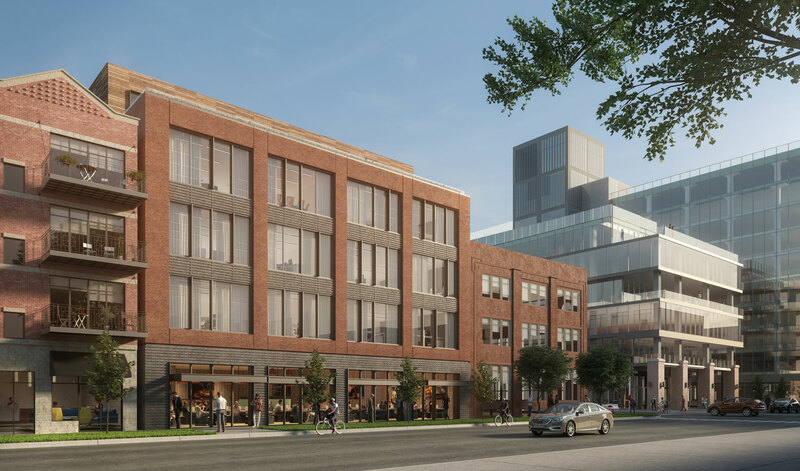 Once the site of a parking lot, the infill project is being constructed as the headquarters of a general contractor that is developing as well as building the project. The structure features mass-timber columns, beams and wood flooring. The basement that contains parking spaces will be constructed of structural steel and brick masonry veneer.